When you are looking for a veterinary care clinic you should be able to count on superior care and excellent service. 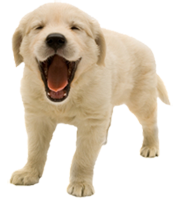 We at Best Friends Animal Hospital in Sarasota FL have assembled an expert team of veterinary professionals to bring you the best possible healthcare for your pet. We have a state of the art veterinary facility which is clean, comfortable, and efficient. Call 941-927-4567 to schedule an appointment and we will find a time that is convenient for you. Once a year, you should take your pet in for a check-up. This will include a full physical exam, including an important exam of the teeth and gum area. Our veterinarians will check the health of your pet from head to tail, and you will be very happy you came to Best Friends Animal Hospital for service. HAVE YOUR PET ON A LEASH OR IN A CARRIER. A visit to the veterinarian is often stressful and traumatic. While walking from the car to the office your pet may try to escape from your arms and, being scared, run away. PLEASE BE PROMPT TO YOUR APPOINTMENT. Arriving about 5 - 10 minutes before your appointment time allows us to "check you in" without rushing, We will always try to see your pet on time. However, as you know, medical emergencies do occur, and should we be running behind schedule because of this, we will let you know so you have the option of waiting or re-scheduling your appointment. If we know far enough in advance, we will try to call you. Thank you for your understanding and know that should the emergency ever be your pet, we will give him or her the same dedicated emergency care. WRITE DOWN ANY QUESTIONS OR CONCERNS BEFORE YOUR VISIT. This will help you to not forget any important issues you may wish to talk about with the doctor. Please print out, complete and bring the new client form with you to your visit, which can be downloaded here. SHOULD YOU HAVE AN EMERGENCY. If you have an emergency situation during office hours, call us and we will work in your pet immediately. If the emergency occurs after office hours, please call or go to one of the emergency clinics listed below. (Ask us for a map!) They will fax our office the particulars of the situation the next morning so we are up-to-date on your pet's circumstances, and may also request that you follow up with us directly. SARASOTA VET EMERGENCY (941) 923-7260 7414 S. Tamiami Tr. Again, thank you for entrusting your pet's care to our team of caring professionals.